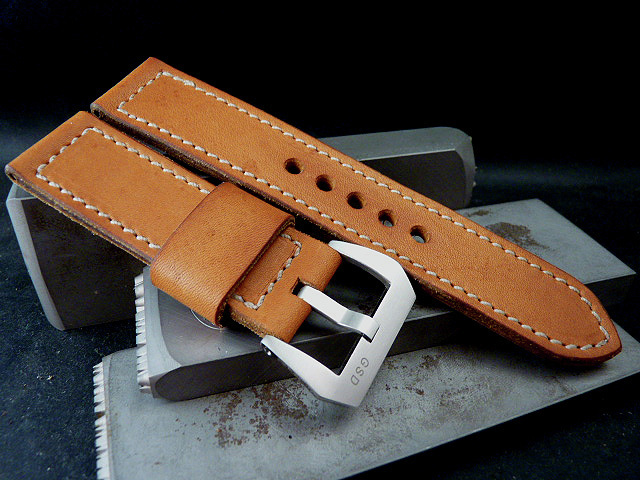 My Saddle Tan leather is lightly sueded with a soft hand and a lot of character. It's the type of leather that will get better with age. I leave the edges raw when I build them as putting an edge coat would be just plain wrong. 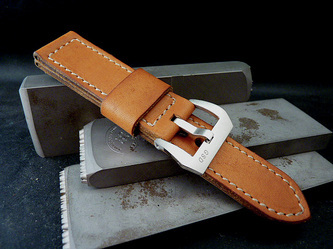 Great strap that wears comfortably on the wrist.